Every home needs a hammock. On those warm, sunny days it’s just nice to lay out in the sun and relax. I especially like to hammock when I camp or go to the river. I always make sure I have the hammock with me. This lightweight camping hammock has always been sturdy enough to hold me since it can hold up to 275 lbs and can hang from trees, hammock stands, and sturdy poles. It’s made out of strong nylon that is used to make parachutes and even has a handy side pocket to hold your wallet, keys, and phone while you relax. It even prevents mosquitoes and other bugs from getting into the hammock and irritating your skin. Luckily, it’s so lightweight that it is easy to carry and has a bag to put it in and once you fold it small enough can fit in your backpack! This lightweight camping hammock also comes with 2x ropes and 2x carabiners. 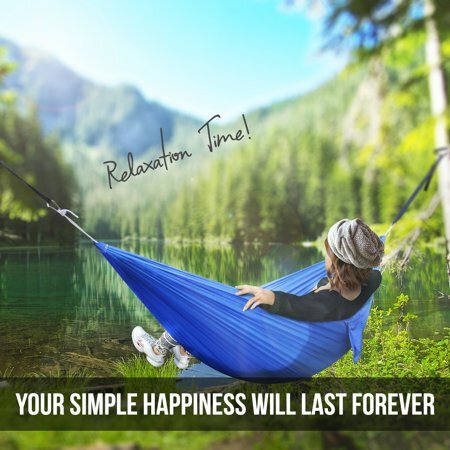 Choose your favorite color of this super durable and lightweight camping hammock on sale and take it on your next camping trip or to your backyard! 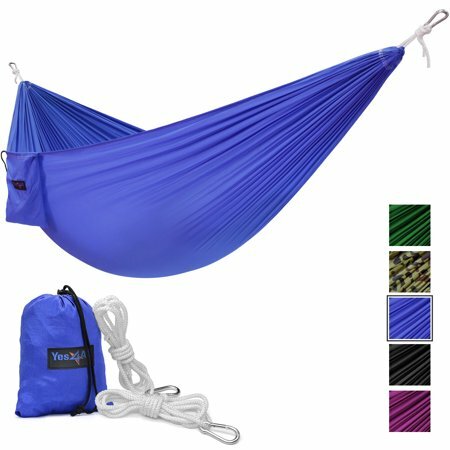 Walmart has got this sweet lightweight camping hammock on sale for just $7.99! This is usually on sale for $20.99! This is an absolute steal for a hammock that is so durable and light. These hammocks are bound to sell out! I am definitely snagging another one today! Buy this lightweight camping hammock on sale for $7.99! Previous articleTarget Black Friday Toy Deals – Start shopping now! Next article9 refill pack of Pampers Sensitive Baby Diaper Wipes on sale for 12.40!